Cape Town - As the festive season slowly creeps in and tourists get ready to vacation at some of their favourite holiday destinations, including Cape Town, the question at hand is whether the Mother City will be able to cope with the influx of visitors during a severe drought? 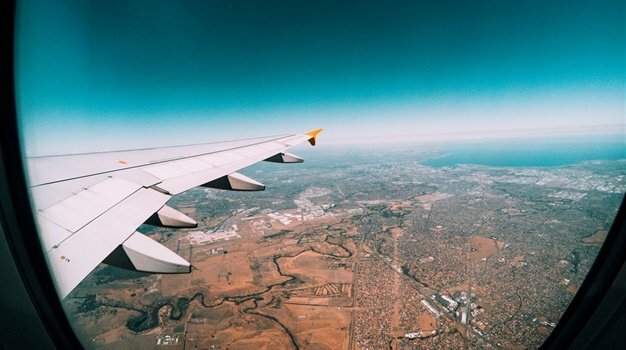 In September, Wesgro reported the city is expecting to welcome two million more international tourists in the upcoming peak season - it has however reassured visitors that steps have been taken to reduce water consumption and ensure that supplies last through the tourist season. While the water supply levels are currently at 28%, the City of Cape's executive mayor, Patricia De Lille says that due to the efforts of the City and the residents, Day Zero has moved to 13 May 2018. "As we bring additional supply online from February onwards with more new water coming online in the months thereafter, Day Zero will be pushed further," says De Lille. "We have already brought additional water from the Molteno Reservoir in Oranjezicht and the Atlantis Aquifer, with two million and five million litres per day from these sources respectively." At this stage, according to De Lille, there are seven projects already underway in the first phase. These are Monwabisi, Strandfontein, the V&A Waterfront, and Cape Town Harbour desalination plants; the Atlantis and Cape Flats Aquifer projects and the Zandvliet water recycling project that will be producing an additional 144 million litres per day between February and July, with the yield from these projects rising incrementally in the months thereafter. "In addition, we have12 projects in the advanced stage of planning that are ready to proceed if required," she adds. "Some key areas will be prioritised to stay connected, but these areas will be extremely limited. The areas which will stay connected will be the majority of densely populated informal settlements. "Decisions about which areas remain connected will be based on factors such as critical infrastructure, population density, and risk profile for disease outbreak and fires." 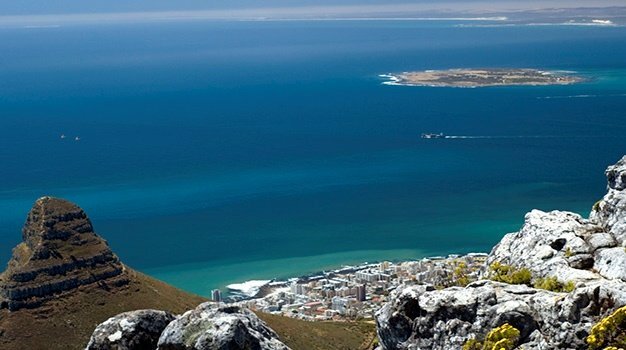 With Cape Town being one of the biggest holiday attractions, the City is upping its game by making visitors aware of the situation and has launched a number of other initiatives. In October, the City launched one of its key initiatives - ‘Save like a local’ campaign - with a focus on local and international tourism alongside the existing city-wide drought interventions. “We are continuously encouraging the tourism industry to spread awareness around water saving and to take practical steps to reduce water consumption by visitor. "The accommodation sector is keenly attuned to the challenges brought about by the water shortage and different hospitality chains and properties are taking measures to reduce water usage. In addition to that, the City of Cape Town’s Recreation and Parks Department also reduced the number of public swimming pools that will open for business this summer. Out of the 35 municipality pools, only 12 will be opened during the peak summer season. These facilities are distributed across the city to ensure equitable access. "Careful consideration went into selecting these facilities as they are easily accessible or located on a transport route. All of them have a maximum capacity of over 500 patrons and are equally represented across the four areas of the city," says the City’s Mayoral Committee Member, Alderman JP Smith. Supporting the Mother City during these difficult times, hotels and hospitality services are also playing their part in making sure that visitors and residents are well-informed on the water restriction rules in the drought-affected regions of the Western Cape. Online hospitality service, Airbnb says it is informing users of the water restrictions and encourages its community to take tips. “Airbnb is informing hosts and guests using the platform in the Cape Peninsula about the level 5 water restrictions and encourages its community to take tips from local authorities to help guide them to use water sparingly,” says Airbnb. Establishments like Spier Farm Management and Resort in Stellenbosch, the Hotel Verde Cape Town Airport and Tsogo Sun Hotels in Cape Town are some of the few of the Federated Hospitality Association of South Africa (FEDHASA) Cape member establishments that have introduced viable water saving initiatives. Protea by Marriott Group, the Vineyard Hotel and the Carlson Rezidor Hotel Group are some the of top hotel groups Cape Town that came out in force against a Times Live column that accused the hotels of not adhering to the City of Cape Town's water restrictions over the peak holiday period. And add a bit of fun to your shower time in this water crisis, Sanlam has teamed up with some of SA’s biggest artists to make it easy to stick to the alotted two minutes. The artists have cut down their top tracks to help make your 2-minute fun, in a responsible way. "With critically low dam levels and not enough rainfall in the Cape, we need to work together to make every drop count," says Sanlam. "Biggest amount of water is used in the bathroom, about 10 litres every minutes when you shower. So we thought people sing in the shower, let's bring a little bit of fun back in the bathroom because the water crisis has taken all the fun." Some of the artists include Cape Town's very own Youngsta and Jimmy Nevis as well as Mi Casa and Rouge to name a few. - See full playlist.